FIAT/OPEL MAGNETI MARELLI Tool v32 released. 8GMW,8GMF HW502,8GMF HW503 ecus now supported. Corrected 6JO,6JF ecus software. Tool update I/O TERMINAL BASIC software v35 released. Made some modifications to SID803 ecus softwares. FIAT/OPEL MAGNETI MARELLI Tool v30 released. 8GSW ecu now supported. Corrected 8F2 CAN,8F3 CAN odometer change algorithm. Tool update I/O TERMINAL BASIC software v34 released. DAEWOO SIEMENS/KEMSCO D3 ecu now supported. MOTORCYCLE ECU TOOL1 V001 released.Tool Works with I/O TERMINAL HARDWARE. Tool for reading,writing full flash memories from DUCATI BIKES ECUS made by CONTINENTAL. All operations done by CAN no need to open ECU. ECUS supported CONTINENTAL M3C with freescale 9S12XDP256 mask 1L15Y, CONTINENTAL M3C with freescale 9S12XET256 mask 2M53J. FIAT/OPEL MAGNETI MARELLI Tool v29 released. Added ECUS support with SPANSION FLASH memories S29CL016 for FIAT Kline. DUMP TOOL V2 (improved sid305 odometer correction by dump) released software can be downloaded from download page. Tool can be used by I/O TERMINAL users for free. DUMP TOOL for sid206,sid305 ecus Odometer correction can be downloaded from download page. Tool corrects odometer in eeprom dump. Tool can be used by I/O TERMINAL users for free. Tool update FIAT BSI TOOL software v4 released. Magneti Marelli BSI (70F3633) from Fiat Grand Siena, Palio added. Tool update FIAT/OPEL MAGNETI MARELLI Tool v26 released. Fiat 8GFS ECU now supported. FIAT BSI TOOL released. Works with I/O TERMINAL HARDWARE. Tool reads,writes eeprom memories and shows pincode stored in BSI. Tool works by OBD or wired bench. Currently BSIs supported : Magneti Marelli with Freescale MCU 3K91D,1k79X (R/W EEPROM SHOW PIN) . 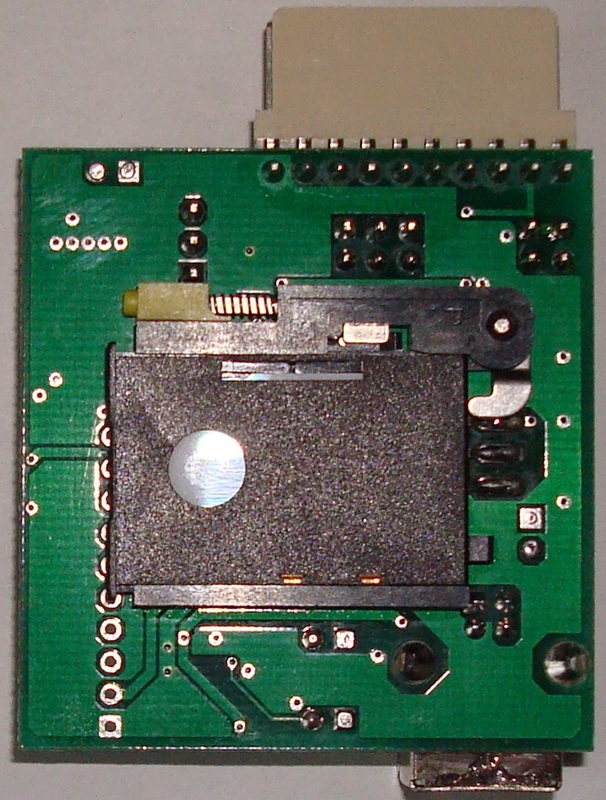 Magneti Marelli with NEC MCU 70F3237,70F3378 (R/W EEPROM SHOW PIN). Siemens Continental Freescale MCU 9S12DG128 (R/W EEPROM SHOW PIN). Tool update FIAT/OPEL MAGNETI MARELLI Tool v25 released. I/O TERMINAL BASIC V2 software V28 is now . Added Ford SIM24, SIM28, SIM29 ECU support. Tool update FIAT/OPEL MAGNETI MARELLI Tool v23 released. 8DF Kline ECUS with MPC5553 now supported. Tool update FIAT/OPEL MAGNETI MARELLI Tool v22 released. Made some corrections in FIAT Kline 6F3 and 8F2 CAN ECUs soft. Tool update FIAT/OPEL MAGNETI MARELLI Tool v21 released. Made some corrections in FIAT 6F3 and 8F2 ECUs soft. Tool update FIAT/OPEL MAGNETI MARELLI Tool v19 released. Added Fiat ECUs IAW 5SF3 CAN,Kline Emulated EEPROM R/W. Tool update FIAT/OPEL MAGNETI MARELLI Tool v18 released. Added Fiat ECUs MJD 8F2,MJD8F3 MPC5565 full flash R/W by CAN. Tool update FIAT/OPEL MAGNETI MARELLI Tool v15 released. Added new functions for IAW 5SF8, IAW 5SF9 ECUs Odometer change, Reset(Virgin). Tool update FIAT/OPEL MAGNETI MARELLI Tool v13 released. Added IAW 5SF8, IAW 5SF9 ECUs support by CAN . Now you can R/W ST10F296 internal flash memory full. Tool update FIAT/OPEL MAGNETI MARELLI Tool v10 released. Fixed some bugs and added FIAT ECU info read function. Tool update FIAT/OPEL MAGNETI MARELLI Tool v8 released. Added Fiat 6O2,6O3 (Functions - R/W 95320,MPC563,M58BW016 memories). Tool update FIAT/OPEL MAGNETI MARELLI Tool v7 released. Added Fiat 6F3 CAN ECUs (Functions - R/W 95320,MPC563,M58BW016 memories, change mileage,reset). I/O TERMINAL Firmware FW_V11 released. Tool update FIAT/OPEL MAGNETI MARELLI Tool v6 released. Added Fiat 6F3 CAN ECUs (Functions - R/W 95320 eeprom, change mileage,reset). I/O TERMINAL BASIC V2 software V26 is now . New version of PSA SID804 there found by one user. Now I/O terminal compatible with that version of ECU. I/O TERMINAL BASIC V2 software V25 is now . Added support for Land Rover SID201 ecu. Now you can R/W eeprom 95320, R/W external flash M58BW016DB and R/W MPC563 flash. All operations work by CAN. Tool update FIAT/OPEL MAGNETI MARELLI Tool v5 released. Software works with I/O terminal hardware and activated online. Tool update FIAT/OPEL MAGNETI MARELLI Tool v4 released. Opel 6O2 CAN, Fiat 6JF, Fiat 6F3 ECUs now supported. Software works with I/O terminal hardware and activated online. Tool for reading/writing memories, reading pincode,changing mileage of opel magnetti marelli ecus(Z13DT,Z13DTJ,Z13DTH) by OBD or on bench. Software works with I/O terminal hardware and activated online. I/O TERMINAL BASIC V2 software V24 is now . Added support for Jaguar SID204 ecu. Now you can R/W eeprom 95320, R/W external flash M58BW016DB and R/W MPC563 flash. All operations work by CAN. I/O TERMINAL BASIC V2 software V23 is now . Added support for VAG SIMOS 6.2 ecu. Now you can R/W eeprom 95320, R/W external flash AM29BDD160GB and R/W MPC563 flash. All operations work by CAN. I/O TERMINAL BASIC V2 software V22 is now . Added support for VAG SIMOS 7.1, SIMOS 7.1A ecus. Now you can R/W eeprom 93C86 and R/W external flash 29F400BB. All operations work by Kline. Added Ford,Volvo SID803,SID803A mileage correction by CAN. New updated software for Renault ECU Tool released v1.03. Added special functions (Clear IMPACT DETECTED,Clear IMMO Code,Read KM) to SID301 ECU software. You can download it on downloads page. Also you will find there updated user manual and wiring diagrams. I/O TERMINAL BASIC V2 software V21 is now . Added support for PSA SID805 and Ford SIM210 ecus. Now you can R/W eeprom 93C56/ 93C86 and R/W external flash 29F400BB. All operations work by CAN. New software for Renault ECU Tool released v1.021. I/O TERMINAL BASIC V2 software V19 is now . Added support for Ford SIM22 ecu. Now you can R/W eeprom 93C86 and R/W external flash 29F400BB. All operations work by CAN. New firmware FW_V09 released for I/O TERMINAL BASIC V2 and RENAULT CAN/K-Line ECU Tool. I/O TERMINAL BASIC V2 software V18 is now . Added support for Ford SID804 ecu. Now you can R/W eeprom 93C56 and R/W external flash 29F400BB. All operations work by CAN. I/O TERMINAL BASIC V2 software V17 is now . Added support for Ford SID802 ecu. Now you can R/W eeprom 93C56 and R/W external flash 29F400BB. All operations work by CAN. I/O TERMINAL BASIC V2 software V16 is now . Added support for Ford SID803,SID803A ecus. Now you can R/W eeprom 95320 and R/W external and internal flash memories. All operations work by CAN. I/O TERMINAL BASIC V2 software V15 is now . Corrected Volvo SID803A flash write function. New software for Renault ECU Tool released v1.02. You can find there user manual and wiring diagrams. Added support for Volvo SID803,SID803A ecus. Now you can R/W eeprom 95320 and R/W external and internal flash memories. All operations work by CAN.